It is Reading Awareness Month in San Diego and to help share the importance of reading, Words Alive is participating in a summer reading book drive to benefit the libraries of San Diego. “More than half of the achievement gap between lower- and higher – income youth can be explained by unequal access to summer learning opportunities. As a result, low-income youth are less likely to graduate from high school or enter college." 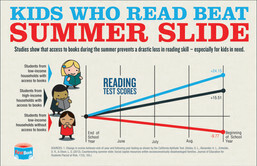 Low-income students lose more than two months in reading achievement over the summer months. 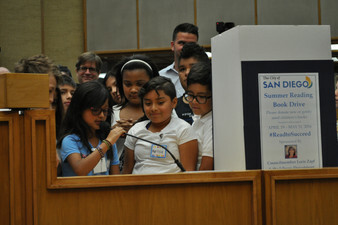 Books collected will be distributed to students by the San Diego Public Library to ensure they are able to keep up with their reading over the summer. In partnership with Council member Lorie Zapf, City of San Diego, United Way of San Diego County, and the San Diego County Public Library The Summer Reading Book Drive will run through May 31. We will have a collection bin here at Words Alive and keep a look out for bins at your neighborhood public library and select City Administration buildings in San Diego. Click HERE to view a list of all of the San Diego County Libraries and locations.